Earlier this year, the state of Florida took the fight against opioid abuse to a whole new level by bringing a suit against two of the largest pharmacy chains in the U.S., Walgreens and CVS. The reason behind filing this suit is the alleged contribution of these retailers to the alarming opioid crisis in the state and the nation overall. Florida’s Attorney General Pam Bondi reported that both the drugstores failed to take the lead on suspicious orders and were involved in selling unreasonable quantities of opioids. The state believes that the two drugstore chains have played a major role in bringing the opioid crisis into being by turning a blind eye to the upsurge of opioid use in the state. 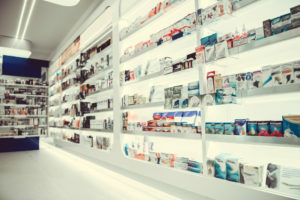 Walgreens and CVS are the two most popular and perhaps the largest drugstores in the U.S., as per the pharmacy data available at a healthcare marketing firm SK&A. These chains have approximately 18,000 stores between them. CVS Pharmacy has 754 drugstores in Florida while Walgreens operates 820 stores. “Opioid use has had tragic consequences for communities across Florida, and the State has been forced to expend enormous sums as a result of the opioid crisis,” the introduction to the lawsuit mentions. According to the lawsuit, there is a reason behind the opioid crisis. The defendant drugstores are to be blamed for cooperating to sell and ship excessive quantities of opioids into Florida. According to the National Institute on Drug Abuse, approximately 2,798 people died in Florida from opioid overdoses in the year 2016. The death rate in the state is 14.4 deaths per 100,000 people, which is 1.1 deaths above the national average. If this is not an alarming situation for Floridians, we do not know what is. Thousands of people have suffered from dire health consequences because of the ignorance and defendant actions of these drugstores. According to the lawsuit, these retailers made millions of dollars worth of profit while they knew, or should have known, that they were setting the state and its citizens up for immense danger. If we compare the number of overdose deaths, involving prescription opioids, reported in 1999 and then in 2016, it has increased by five times according to the Centers for Disease Control. As per the details of the lawsuit, CVS sold 700 million doses of opioids in Florida between the years 2006 and 2014. Additional outsized drug sales have also been noted in Hudson and two other towns nearby. Moreover, Walgreens has dispensed billions of opioids from its pharmacies located in Florida since 2006. It was reported to distribute 285,800 orders of Oxycodone in one month in a town that has a population of no more than 3,000 people. In addition to this, the company distributed over 2.2 million opioid tablets from its store in Hudson, a town of only 12,000 people. In some drugstores, the opioid sales increased six-fold in a period of two years. Numerous Floridians have suffered thanks to the actions of these pharmacy chains. “We will continue to pursue those companies that played a role in creating the opioid crisis,” said Bondi, who is in line to replace the recently ousted U.S. Attorney General Jeff Sessions. Going back in time, perhaps a decade ago, Florida was notorious for its so-called pain mills. It was the go-to place for drug dealers to get their hands on illicit drugs for recreational purposes. From across the world, they would send their associates to the drugstores in Florida where unethical doctors would offer opioid prescriptions for fake health conditions and injuries. The federal officials report that at one point in time, 90 of the top 100 opioid prescribers in the country were from Florida. The state has decided to take notable action against the two drugstore chains. The lawsuit accuses these big companies of taking unethical advantage of their marketing tactics. It is reported that the pharmacy chains misled the doctors and made them overprescribe opioids to treat chronic pain instead of providing other treatments. The state of Florida also believes that it was because of this artificially inflated opioid demand that there have been unjustifiable quantities of opioids in the state that clearly surpasses the medical demands. Furthermore, the lawsuit also mentions that CVS and Walgreens began a race of selling as many opioids as possible. They failed to instruct their employees to keep track of where the drugs go and avoid the diversion of the drugs. For the past decade, fighting against the opioid crisis has been one of the top priorities for the state of Florida and the nation in general. After facing the much-needed lawsuit, Walgreens refused to say anything on the matter and observed silence. On the other hand, CVS did not hesitate to label the lawsuit as ‘without merit’. “We are committed to the highest standards of ethics and business practices, including complying with all federal and state laws governing the dispensing of controlled substance prescriptions, and CVS is dedicated to helping reduce prescription drug abuse and diversion,” they said. In addition to this, they also mentioned that they have strict policies, tools, and procedures to make sure that all their pharmacists are well-trained and they take their professional responsibility very seriously to evaluate a controlled substance prescription instead of filling it randomly. While Walgreens initially declined to make any comment, they decided to take some positive steps last year to help the state fight against opioid abuse. “We want to make sure we provide a safe way for the community to drop off, instead of leaving it on the street or for someone else unintended to get it at home,” they said in an interview conducted last year. Recently, President Donald Trump has signed a set of opioid-relief bills and made them a part of the law. The legislation also calls on federal agencies to come up with clear guidelines for situations when a pharmacist can refuse to write down an opioid prescription. In the meantime, if you or a loved one is struggling from opioid addiction or substance abuse of any kind, don’t hesitate to reach out. Sober Living AZ provides all of the quality care you need to get back on track for a better, brighter, sober future.